Let loose your spirit of adventure and discovery. 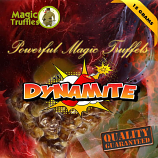 For the best quality available, try our Philosophers Stones - magic truffle products first. You can buy at the lowest prices on the market! 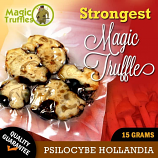 Buy Magic Mushrooms is a company based in Holland and is the largest grower of "Magic Truffles" or philosophers stone and produces Sclerotia of the highest quality. We sell to World Wide. We pride ourselves on being the number 1 growers. Sclerotia is a truffle. This type of truffle produces feelings of well being and euphoria. You will reach a new level of awareness. Their existence of drudgery will disappear. We grow and distribute psychoactive truffle. We do not offer growkits but only a superior fully matured finished product for a happy, philosophical visual trip which can last up to six hours. 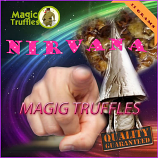 You will be very pleased with your selection of our premium yet rare magic truffles. Our product has retained its original delicious taste and potency without the degenerative inbreeding of other growers. 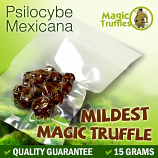 Our high quality magic truffles include: Psilocybe Tampanensis, Mexicana, Atlantis, Pajaritos and a few more. They will produce a nice feeling of happiness and contentment without the addition of paranoia and addiction as found in other psychedelic drugs. 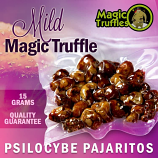 We have trip reports about these psilocybe and psilocybin containing truffles. Strong psychedelic experiences and inner visions are reported in: Austria, Australia, Belgium, Canada ,Denmark, England, France, Finland, Germany, Holland, Italy, Ireland, Netherlands, Norway, Portugal, Poland, Spain, Sweden, UK, Unites Kingdom, United States, USA and Switzerland. Reports show different names for these magic truffles: sclerotia, philosophers stones, psychedelic truffles, tripknol and psychedelic mushroom are commonly used names. 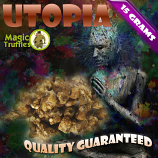 Truffles are not mushrooms but have the same or even stronger trippy psychedelic effects. 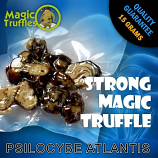 We are the only grower of psilocybe atlantis, this truffle is stronger than magic mushrooms. Our grow facility has six large growchambers and is located near Amsterdam in Holland. 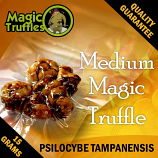 Truffles are often mistaken by magic mushrooms known as: psilocybe or stropharia cubensis, Hawaiian Copelandia Cyanescens, Psilocybe Colombian, Philipine, psylos, shrooms and more. We no longer grow or sell magic mushrooms. The sale of dry and fresh mushrooms is illegal since the ban In December 2008. But we do sell mushroom grow kits. Very rare and equally as hard to find, the Psilocybe tampanensis is a psychedelic mushroom originally collected in 1977. All present day truffles came from this sample found by Stephen Pollack in Tampa, Florida. It has a nutty flavor and a sharp, long lasting aftertaste. The “flesh of the gods” or Psilocybe Mexicana was first discovered in 1958 by Dr. Albert Hofmann and was known to have been used for religious ceremonies and psychedelic effects. Indigenous only to Fulton County, Georgia, Psilocybe Atlantis is another relative of the magic mushroom family and has a pleasant taste and smell. Psilocybe Pajaritos or little birds are part of the Psilocybe Mexicana family and it is believed they are so named because of the ability of the magic mushroom or Sclerotia to make one sing like a bird.